Sarcoplasmic reticulum is a form of endoplasmic reticulum found in large quantities in mature muscle cells. Anthony Martonosi presents general information about the development and function of the sarcoplasmic reticulum within a framework of contemporary research on the molecular biology of biosynthetic and signaling processes. 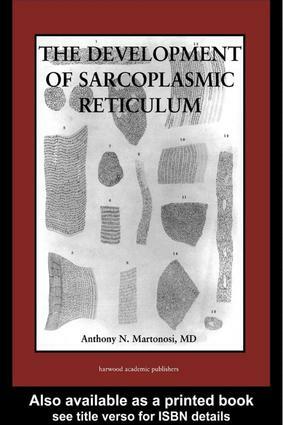 Focusing on the development of the sarcoplasmic reticulum, Martonosi demonstrates the regulatory functions that control the production of its molecular components and investigates the interaction of these lipid and protein molecules with the myogenic, neurogenic and hormonal stimuli present in developing muscle cells. Martonosi provides extensive experimental support throughout the book.